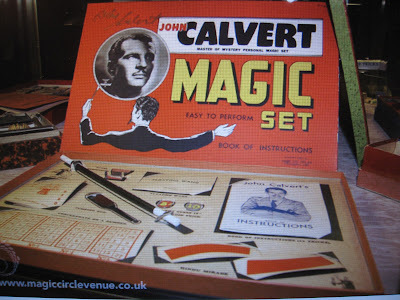 After I wrote the “magic” posting about working with the stroke group, I got some messages from people telling me about their use of the words "tricks" and "magic" alongside Conductive Education. It seems there are a few other people who also use the word "magic" and maybe even András Petö did himself. I was told about how some clients mention their box or pocketful of CE tricks, and how others say that it's like magic. Some on the other hand say, just as I did in my early student days, “It's common sense”. Yes, it is, but we all need the tools of the trade, our personal box of tricks, to put our common sense to use! It is hard to describe what these tricks are. They are all the things that conductors do, I suppose, when they are putting the “common sense” to use. They are the result of years of observation, years of touching and not touching, years of doing that which Dr Mária Hári always encouraged us to do, getting in and having a go, trying out the tricks, finding out whether they work! Sometimes I don’t know the tricks myself until I come across the problem needing to be solved. In many cases client and conductor find the tricks that suit the situation together, and sometimes we realise that we have discovered the trick only after the problem is solved. I will try to put into words a few examples, even though it is virtually impossible to explain positions of arms and legs, or even a single finger. It is difficult to describe exactly when a word needs to be said, or how the timing affects a movement, and precisely when and how a thought needs to be thought. Is it at all possible to show how a limb may only need to be positioned a centimetre to the left or to the right, or how a word needs to be spoken, or a thought needs to be thought a second earlier or later? It is because of precision and timing that most of these tricks become tricks in the first place and what looks like magic is in fact a feat of precision engineering. I asked my young client last week whether he had any tips or tricks that he uses or has used and could describe to me. He always used to say “Zauberei!” (magic) to me when he was younger, whenever I showed him a “ trick“ that allowed him to move his limbs how he wanted and stopped them doing what they wanted. It really did appear to him as a ten-year-old that he was working magic on himself when a suggested "trick" successfully and immediately brought the result that he was after. Sometimes he would gently stroke his wriggling, right hand and it would stay calm on the table. He would then look at it wide-eyed in wonder. Nowadays, he just needs to stretch his elbow to achieve the same result. His box of tricks is changing as he grows older and as he learns. He told me of a trick that he uses, pushing his knees tightly together when he is forming a bridge by lifting his hips. As his hips go higher his knees part slightly and he thereby reaches the central position required to stop wobbling. My client explained how, when he sits at the table and wants to hold a mug, he has to move his right arm across the centre of his body to the left side before he can close his fingers on the handle of his mug. He uses this trick to do other things during the day, especially when dressing. He has developed many tricks for himself, choosing from and adapting the hundred-and-one ways for athetoid children or adults to fix their limbs and prevent unwanted movements. He described how, if he stands on two feet, lowers his arms, lifts his head and stretches his knees, then whoever he is talking too immediately and "miraculously" understands him better. This trick is working not only on the clarity of his speech, it also allows his listeners to see his face and allows the listener to concentrate better without having him wobbling about and falling into them. This upright position means they can read his lips and any other expressions on his face. To be fully understood, now that would be the best magic my client could wish for. He is working hard on learning more tricks! Another new trick that he is learning he can use while walking outside on the pavement, so that there is no chance of wobbling on to the road and into the path of oncoming vehicles. As he grows his movements change, his ability to understand his body and control his limbs improves, and then he learns how to change his gait. He practises this in the house but it is extremely difficult in such an enclosed space with furniture to negotiate, with doors to go through and corners to turn. Out on the street he has more space and it is absolutely necessary for him to do it in order to remain safe. He widens his gait until he can feel a tension between his legs, then he knows that he is doing the “trick”. He knows when he feels this tension that he will walk tall and straight and be able to stretch his knees. This, he says, is not a "trick movement”, this is a "trick feeling”! He has many more tricks up his sleeve but he doesn’t know how to use them all yet. Recently in the stroke group, when one of my clients was amazed by a trick that I had shown him, he immediately wanted to know more and more. I explained the need to take things step by step and suggested that it might be best if he learnt to use the ones that he already had before we progressed on to the next. On the other hand, the more that one knows, the more one is ready to solve problems when they come one's way. Just like a magician, if my clients want to create the illusion that they are performing magic on their bodies, they need to practise, to perfect and also to develop their tricks. It is, as I said, all about common sense, about feats of engineering, but above all it is extremely hard work. To him and to others, I would like to say just as we should all go on believing forever in Santa Claus, we should also remember the words of the song - "Oh, oh, oh, it's magic, and never believe it's not so"!